Thank you for considering us to sell your home. Our marketing strategy is designed to give your home maximum exposure. We use the most advanced marketing tools to achieve our goals. According to the National Association of Realtor, 74 percent of buyers start the home buying process through the Internet. When you list with us, we feature your home in some of the top real estate websites including our prestigious site that has an average of 1000+ visitors monthly. Your home is your castle, why not show it through our special promotion of 25+ pictures on our comprehensive website and multiple listing service. Within 24 hours of listed your property with us, we send an E-Card that included multiple pictures and details information about your property to approximately 2750 clients, 950 Agents and Brokers in Lehigh Valley, 2560 Agents and Brokers in the New York Metropolitan area. We are continuing to build our database to reach more potential prospects for your home. Real Estate is about timing and we work hard to get the words out as soon as we get the listing. We send out JUST LISTED postcards to our farming areas to inform them about all of the wonderful features your home has to offer. This way, potential buyers do not miss out of this new listing. We recognize that some buyers still use the good old fashion methods to look for property. 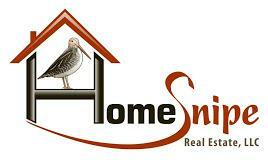 We use various local and national reputable medias to attract READY and ABLE BUYERS for your home. Within 24 hour, we input the listing in the Lehigh Valley Multiple Listing Services to give access to all of the agents and Brokers who are members of the organization. We take the initiative to install our highly recognized YARD SIGN to generate calls daily from drive by buyers. We hold Broker Caravan for other agents and brokers in the area to preview your home prior bringing their clients to see your home as per your permission. Convenient open house will be held on selected Saturday or/and Sunday for the general public. Communication is one of the most important strategies in selling your home. We communicate with other agents, brokers and buyers following showings of your property to work with them on offers on your home. We keep you inform periodically of all of the activity on your home through phone call and your own intranet site provided by us via our website. Our Marketing system is set up to respond to inquire about your property in a timely manner. If your are thinking about selling your home in the near future, just give us a call or just click here(Your Home's Value) to fill out this quick and easy form. As per of our continue efforts to give you the highest level of services, we will do a FREE marketing analysis on your property with no obligation.